Only real innovations and an absolutely new technology lead you to the best results ! 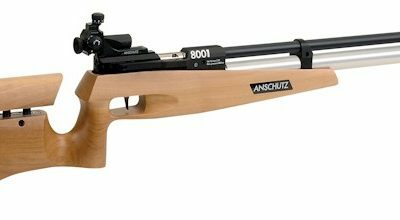 The model Anschutz 9003 Premium is the new definition for top class target compressed air rifles. 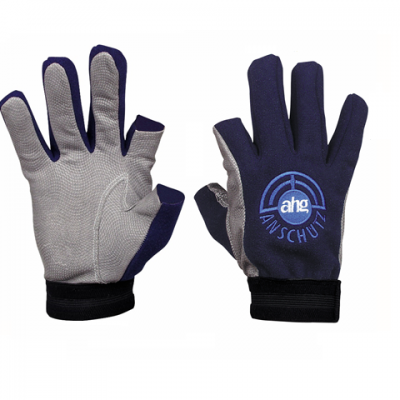 Recoil and vibration-free Anschutz compressed air barreled action. 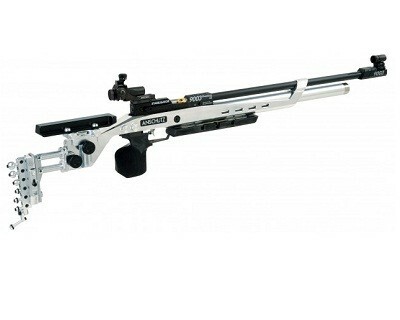 Tension free connection and vibration damping fixing of the barreled action in the aluminum stock through patent-pending Soft LinkÂ® shock absorber pads and absolutely maintenance-free stabilizer working axially to shot release. 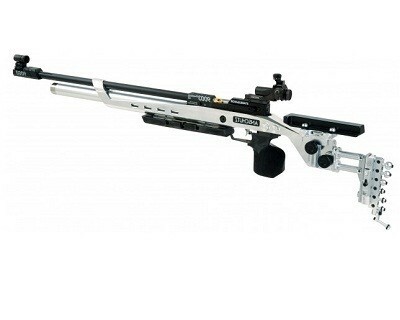 Ultra-short lock time due to compound materials, optimized firing pin and new trigger unit. New and innovative safety concept. 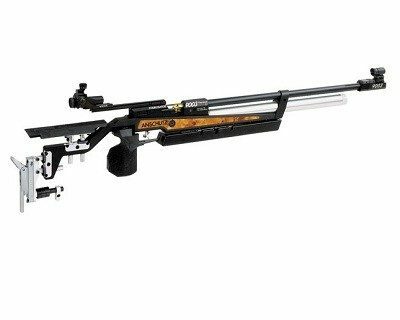 Anschutz Sight set 6834, Plastic rifle case, accessory box with: Soft Link shock absorber pads, additional weights, sight raiser block, filling adapter with air release screw, special grease, allen key, instruction leaflet with original test target, service manual and stock design stickers.